In a study that confirms what many have suspected for quite some time, the director of preventative cardiology at the University of Maryland has shown that listening to country music is good for you. The theory is that listening to music that makes you feel good, especially country, can cause the blood vessels in your arm to dilate, increasing blood flow to the heart. Imagine then how much better Bluegrass music is for the cardio-vascular system. David Grisman & Eastman Strings Collaborate – The Dawg Collection. Grisman and Eastman Strings are collaborating on a new line of acoustic instruments called The Dawg Collection by Eastman. Based on rare examples from David’s personal collection, the line is inspired by classic instruments from the Golden Age of American luthiery, as well as new designs by contemporary builders. As Dawg explains, “I don’t think the world needs another attempted Lloyd Loar mandolin copy. I’ve always enjoyed the diversity of obtainable voices from many other worthy designs, past and present, like those I explored sonically (and historically) on the Tone Poems series of CDs for Acoustic Disc. I’m also very impressed with Eastman’s commitment to both quality and value, in addition to their interest in producing some of these fabulous instrument designs. The first model in the series will be available on November 1, 2008. In collaboration with Italian builder Corrado Giacomel, Eastman will build a mandolin inspired by Giacomel’s J-5 model that the Dawg is currently playing with his quintet. With the world financial markets struggling to regain market confidence, the Deering Banjo Company sent through this quip reminding us that we might have more control that we think. Once there was a man who owned a hot dog stand that he ran by the side of the road. For years he treated his customers right, sold good quality hot dogs to lots of people who stopped by to purchase from him. He even made enough money to send his son to college. He wanted his son to be an educated man and successful in the world. So his son went away to college and several years later he returned with his diploma in hand. The man was very pleased to have an educated son who could help him in his business. The next day his son heard him placing his order for hot dogs and commented that he was surprised that he would order so many hot dogs, “Hadn’t he heard that there is a recession going on?” The man thought about this and concluded that his son had a college education and must know what he was talking about so he cut back his order for hot dogs. People continued to stop at the hot dog stand, but by rush hour the man had run out of hot dogs. He had to turn customers away. After a few times of stopping by and finding the man out of hot dogs his regular customers stopped coming by. As this continued for a while and less and less people stopped to buy hot dogs, the man’s income dropped to the point that he could not pay his bills and he went out of business. While trawling the Internet, one runs across many and varied sites. From time to time there are a few gems that emerge. Country Music Goodness.com is one of those gems. CMG an online source for interviews, album reviews, concert reviews, news, viewing, slandering, loving, and all other things that are great in the country music world. The CMG website describes them and having a heart-beat for all things country music, and that is all across the genre board of what is called Country.We will be covering Classic country, Texas Country, Americana, Old Timey, High Lonesome, Folk, Bluegrass, Nashvillesqe country, indie country. Ricky Skaggs found fame in the 1980s playing country music, but in the 1990s he returned to his first love, bluegrass music, and he hasn’t looked back since. Well, that’s not entirely true, in fact, the multiple Grammy Award-winning singer did look back into the past, both his own and the bluegrass genre, for his two latest albums, The High Notes and Honoring the Fathers of Bluegrass: Tribute to 1946 and 1947. Bluegrass music, which has enjoyed a recent resurgence in popularity, was fashioned by Monroe, Flatt and Scruggs, as well as the Stanley Brothers, in the mid-40s, and the advent of radio and television helped expand the reach of the music. 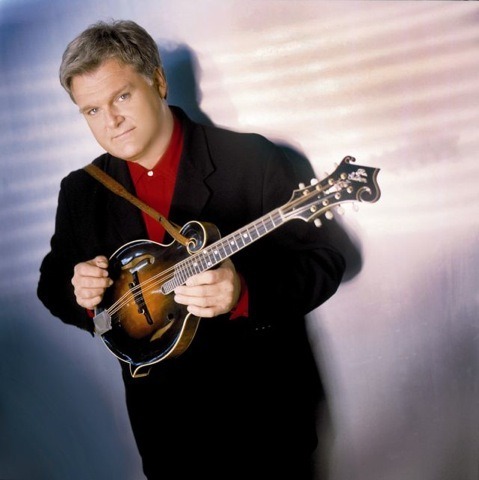 Skaggs, sometimes known as bluegrass music’s official ambassador, forms the bridge from its past to its future, having performed with the fathers as well as the new generation of bluegrass artists. Eddie Adcock, has picked up a new title after recently undergoing brain surgery to correct a right hand tremor. Eddie Adcock in now the Bionic Banjo Player. The surgery – called Deep Brain Stimulation required implanting an electrode into Eddie’s brain tissue along with a battery-powered generator within his chest cavity. The technologically advanced procedure was performed in multiple stages over the month of August in Nashville, Tennessee, at Vanderbilt Medical Center, a teaching and research hospital which is a world leader in neurological studies and surgeries. 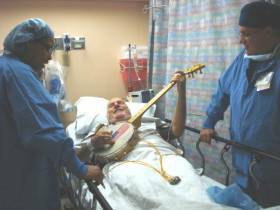 Eddie Adcock entertains the doctors with his Deering Good Time banjo during Pre-Op (pictured). The upcoming Billy Graham movie, Billy: The Early Years, will feature sixteen-year-old Rounder artist Sierra Hull who plays Billy Graham’s sister, Catherine. The movie opens in select theaters across the USA on October 10. The film was produced by Robbie Benson and includes Hull singing Graham’s favorite song, Just As I Am. 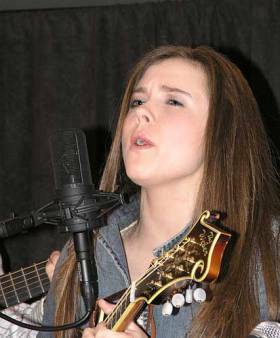 Hull’s performance of Just as I Am is also included on the original motion picture soundtrack, where she is joined by an all-star choir of John Cowan, Harry Stinson, Ronnie Bowman, Ronnie McCoury, and John Wesley Ryles. Sierra Hull has also been nominated by the International Bluegrass Music Association (IBMA) for the 2008 Mandolin Player of the Year Award. The winners will be named at the IBMA Awards ceremony in Nashville, TN on Thursday, 2nd October. Sam Bush was sitting in his tour bus, talking about the increasing role for mandolin playing from solos and background licks in modern country and folk-rock music, when he brought up a subject I’ve long wondered about. Acoustic Guitar magazine features an article by Joe Miller on an old fiddle tune, Fire on the Mountain. That version was so brief it took up only eight measures, and the title was Free on the Mountains. The Acoustic Guitar Website also has a video of Joe playing the tune and well as guitar tab.